At Public Ed Hearing, Complaints Center on "15 Percent Rule"
At a House Public Education Committee hearing Tuesday, superintendents and students told lawmakers that the new "15 percent rule" regarding STAAR exams should be done away with, and some lawmakers were receptive. Parents, superintendents and students confronted lawmakers Tuesday over issues in the rollout of the state’s new standardized testing regime at a hearing of the House Public Education Committee. Discussion centered on a rule that calls for high school students’ end-of-course exams to count for 15 percent of their final grades, which will go into effect next year, with committee members largely agreeing with witnesses that the rule should be done away with. The “15 percent rule” will probably be permanently reversed, said outgoing chairman Rob Eissler, R-The Woodlands, who lost his primary election in May. “You’re preaching to the choir,” state Rep. Scott Hochberg, D-Houston, committee vice chairman, later said as superintendents repeatedly pointed out the issues in the rule’s implementation. 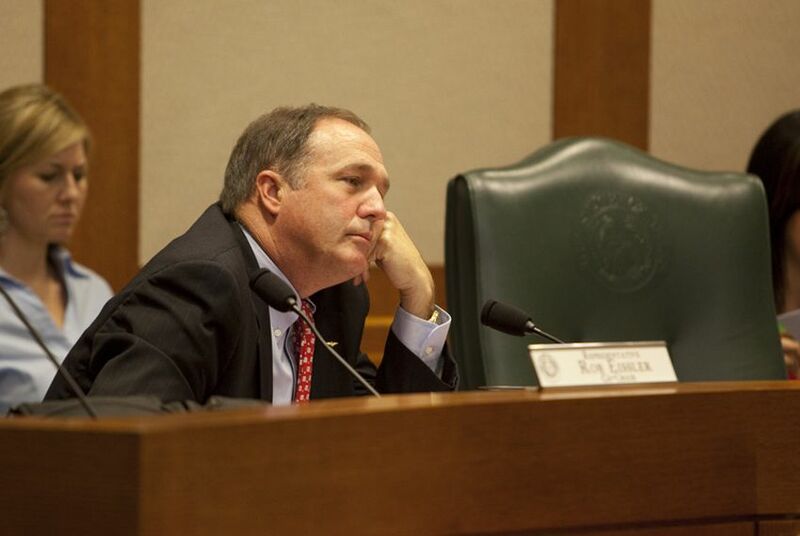 Only one committee member, state Rep. Mark Strama, D-Austin, expressed support for the rule, whose implementation was deferred by the Texas Education Agency until next year after outcry from parents and widespread confusion from school districts about how it should be applied. Strama said end-of-course assessments should function like final exams, but are superior to class-specific exams because they are designed by “professional” test writers, rather than classroom teachers. He said logistical complications, like holding exams a month before school ends, can be smoothed out but are not a reason to discard the "15 percent" system. But Hochberg and district superintendents noted other shortcomings of the state-issued exams, such as their need to be quickly graded and the reliance on multiple choice question format. The 15 percent rule was designed to create “skin in the game” for students taking the exams, said Amarillo ISD Superintendent Rod Schroder and Aldine ISD Superintendent Wanda Bamberg. But students already have two other incentives to perform well, they said — the cumulative exam score they need to graduate and the minimum scores needed to pass each test. The committee also heard testimony from TEA officials, who addressed difficulties in timing STAAR exams. Currently, exams are administered about a month before school ends, so teachers have not yet covered all course material. If exams are administered later, schools will not have time to see the results before starting summer school for students who must retake tests, said Gloria Zyskowski, the agency’s director of its Student Assessment Division. In turn, summer school cannot be pushed back because that would interfere with the start of the next school year. Given this year’s timeline for exam return, there is no way to resolve the timeline of the statewide exam so that it covers the entire course, said Tyler ISD Superintendent Randy Reid. “I don’t see any solution to them getting the scores back in a timely manner,” Reid said. Teachers taught based on expectations from the state’s previous standardized tests, Schroder and Bamberg said, and those did not match the new exam. The STAAR test “is aligned where we need to be, but not to where we are,” Bamberg said. Hochberg defended the increased rigor of the test. At-risk students have been particularly hurt by both the 15 percent rule and that mismatch between the STAAR exams and teacher expectations, Schroder said. Those who have already failed one TAKS test were much more likely to fail one of this year’s STAAR exams, he said, leaving many no longer on track to graduate. Students who spoke at the hearing criticized the “punitive” aspect of STAAR’s implementation, suggesting that policies like retaking exams over the summer distract students from actually learning. “Students are so focused on test-taking they’re not focused on learning material,” said Savannah Kumar, a recent graduate of Austin ISD’s Anderson High School.